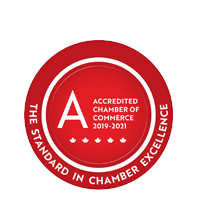 Green Mail - January 22, 2019 - Business Directory - St. Thomas & District Chamber of Commerce - ON, ON ? This is your last chance for Uncorked tickets - tomorrow is the deadline! Join us with Jamie from Quai du Vin Estate Winery and sample a selection of popular and premium wines at St. Thomas Elgin Public Art Centre. Nominations are now open for our newly re-imagined Impact Awards. And we're looking for questions to ask the Mayors at the State of the Municipalities Luncheon. Send us your thoughts! Click here for the January 22 edition of Green Mail.